This article is the third in a series we’ll be posting about how a city's infrastructure impacts its residents. 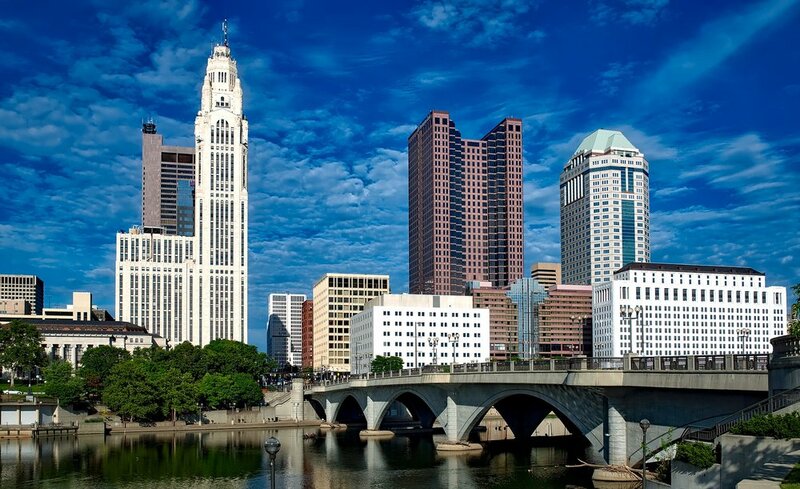 Columbus, Ohio is well known for its college football team, the Ohio State Buckeyes, but also holds many other titles and accolades. Recently the SmartAsset report ranked Columbus as the 2nd best city for new college graduates due to its jobs, cost of living, entertainment and dining options. The report also noted that approximately 20% of people living in Columbus are in their 20s making it desirable for recent graduates and deemed it an “Indie Art City”. Among this praise, Forbes also named it the 11th best place (in the US) for businesses and careers. Other honors and awards the city has gotten over the year include the: Intelligent Community of the Year in 2015, US Department of Transportation Smart City Challenge winner, one of the best zoos in the US, the 2010 Library of the Year Award, Best Science Center, and many more. It’s no wonder that Columbus, already the 14th largest US city, is also one of the fastest growing cities right now. Between July 1, 2016 and July 1, 2017, its population grew by 15,429 people, making it the 8th fastest growing city in the US that year. This growth is projected to continue, and estimates find that the Central Ohio region will grow by more than 500,000 people and 300,000 jobs by 2050. Growth is great, but it can also present challenges. Insight2050 aims to help this, a self-described “tool that allows Central Ohio communities to gain a better understanding of demographic and other trends, and determine how to accommodate these changes”. Operating through the combined forces of the Mid-Ohio Regional Planning Commission (MORPC), Columbus 2020, the Columbus District Council of the Urban Land Institute (ULI), Insight 2050 provides comprehensive information analysis about projected growth in Central Ohio. Across the board, the Maximum Infill scenario provides the most benefits fiscally – for both governments and residents; environmentally – with less greenhouse gas emissions, land consumption, energy and water use; and lastly, better public health outcomes. By redeveloping existing corridors and city centers, Columbus will be able to become denser, easier to navigate without cars and more appealing for baby boomers and millennials (see our article about this). Cities like Cleveland and Cincinnati which thrived in the first half of the 20th century built their transportation infrastructure before cars took over, and thus have narrower streets and compact neighborhood centers, making them easy to get around without cars. Saddled with the opposite problem, many cities like Columbus that grew to prominence in the second half of the 20th century have large and extensive highway networks yet lack comprehensive public transit. The development in Columbus is not as centralized and is spread out along the outerbelt. In Cleveland, the development is much denser and centrally located. We can see this manifested in our Walk Score® rating, which ranks Columbus #66 on the list of cities in the US with a population greater than 200,000 people. In comparison Cleveland ranks at #27, Cincinnati at #35, and Toledo at #45. However, it should be noted that some areas of neighborhoods in Columbus like the Short North, German Village, Italian Village and Weinland Park, scored much higher than the city as a whole. Still, Columbus is also the largest the city in the US without a local rail system (light or heavy), so it may be no surprise that approximately 80% of people in Columbus drive to work alone and only 6% of employees working downtown commute using public transportation. During the summer months this contributes to air pollution problems and causes the city to experience air quality alerts, making it harder for children, senior citizens, and people with certain health problems to breath. Faced with this issue, the city is working on promoting and improving its options for alternative transportation. The initiatives taken on by COTA are perhaps the most impressive. The bus line has expanded its routes, offers a free downtown circulator bus, and has 28 park & ride stations. Additionally, they started a new program called C-PASS, providing employees who work downtown a free bus pass. Overall, we’re really excited to welcome more people to Columbus and see how it grows! Check out the rest of our series about how a city's infrastructure impacts its residents: Transportation Infrastructure, Walkable Infrastructure in Cities, Building Accessible Infrastructure for Everyone, and Air Quality, Infrastructure and Public Health. 1. Berry, John N. “2010 Library of the Year: Columbus Metropolitan Library.” Library Journal, Library Journal, 26 May 2010. 2. Cicero, Karen. “The 10 Best Science Centers.” Parents, Parents, 31 Aug. 2016. 3. “Columbus, OH.” Forbes, Forbes Magazine, 24 Oct. 2017. 4. Murray, Amy. “Columbus Named 2015 Intelligent Community of the Year.” Ohio State News, 12 June 2015. 5. Newpoff, Laura. “Columbus Ranked the 2nd Best City in the U.S. for New College Grads – and Another Ohio City Is No. 1.” Bizjournals.com, The Business Journals, 15 June 2017. 6. Scenario Results Report. Insight 2050, 2015, Scenario Results Report. 7. “Walk Score.” Walk Score, www.walkscore.com. 8. Yuen, Courtney. “Fourth Air Quality Alert Issued This Month: Steps to Help Reduce Pollution.” WCMH, WCMH, 30 May 2018.